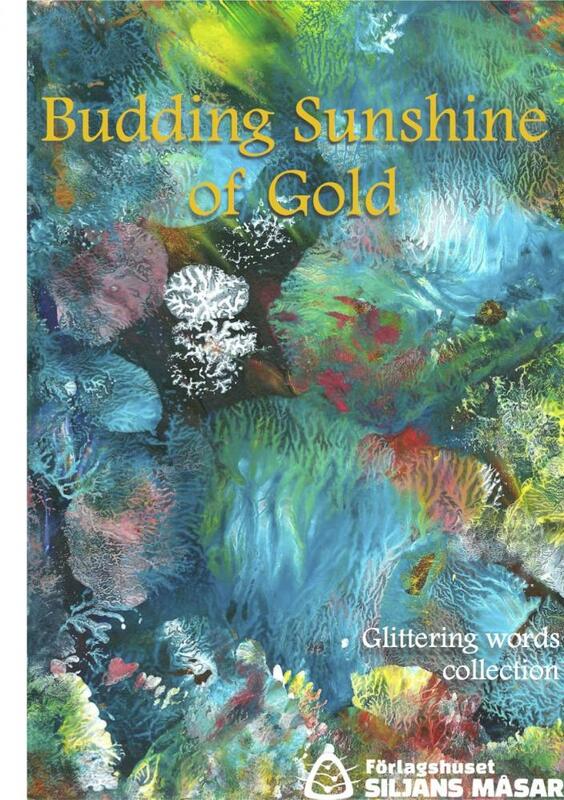 With this anthology – "Budding Gold of Sunshine" – Siljans Måsar would like to draw attention to the important changes going on in the world and give the reader some tips of books that'll provide an opportunity to find his/her own strength. The books are filled to the brim with topical insights, excitement and heartening thoughts, which can increase our awareness and thereby create the prerequisites for a more beautiful world for us all to live in. In this anthology, we put on a feast of scintillating snippets from our published works. Our wish is to let You as the reader become more familiar with our authors and their inspiring books – filled of hope, joie de vivre and excitement. Because our dreams are most certainly what nourish the joy and happiness in our everyday life. This book is designed to inspire You into realizing Your dreams and to give You strength and energy through good, healing words and life experiences. The seed to start this publishing house was sown one cold evening in October, 2008, by Lake Siljan in Dalarna, Sweden. It was a truly magical evening with distinct spiritual presence, where my writing started to take shape. During the following year, three books were written: "Light from the North", bringing a message to people, who wanted to understand their inner voice from a new perspective. Soon enough more authors joined the business and the publishing house was officially opened. "Siljan" in our name represents the force and beauty of nature and ”Måsar” (Gulls) represents the inner, subtle dialogue and the spiritual resource. Our ambition is to publish and highlight authors that share our philosophy relating to the power of love & forgiveness, benevolence, respect, thoughtfulness and joie de vivre. The group currently consists of near enough 60 wri-ters with more than 75 titles, as well as audio books and e-books, in both English and Swedish. In the pages to come, we'll present You with a collection of titles from our publishing house – budding gold of sunshine that wants to brighten up Your life and make You sparkle.